It's time to say goodbye to IRC. From this day on, #Soldat Gather will have a new home on Discord. themangokid (manofoneway) created the Discord server around a year ago and he managed to build a growing community. XvayS was working on a gatherbot for Discord in the meantime and just finished his great work. Discord does also have a mobile app for most devices. There are several community channels, where you can talk to people and have fun. There is a gatherbot in the #Gather channel. Looks like something is getting updated right here. #Soldat Gather is now supporting north-american servers again: XvayS worked on adding the commands to add to U.S servers and we're happy to announce that you can now play at different server locations again. How to add to north-american gather? 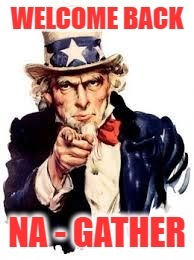 Type !addna on the #gather channel and you will be placed in a NA gather queue. 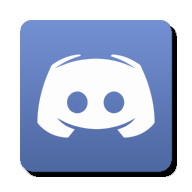 If you haven't joined our community on Discord yet - join us now! IRC forever, live long and prosper!!!! Good job guys can I play Soldat on a Mac? No you can not you forever noob =( All the training i give and you go out and buy a Mac??? McWise =( Never forget. p.s you can bootcamp or use some software like parallels but the free ones are bad.